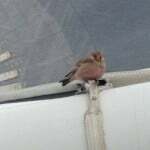 A new crewmember has joined Jivaro as we approached Lampedusa. After a few nautical miles and some well deserved rest, he flew away ahead of us, leading the way to the last landmark before the final run towards the Maltese finish line. 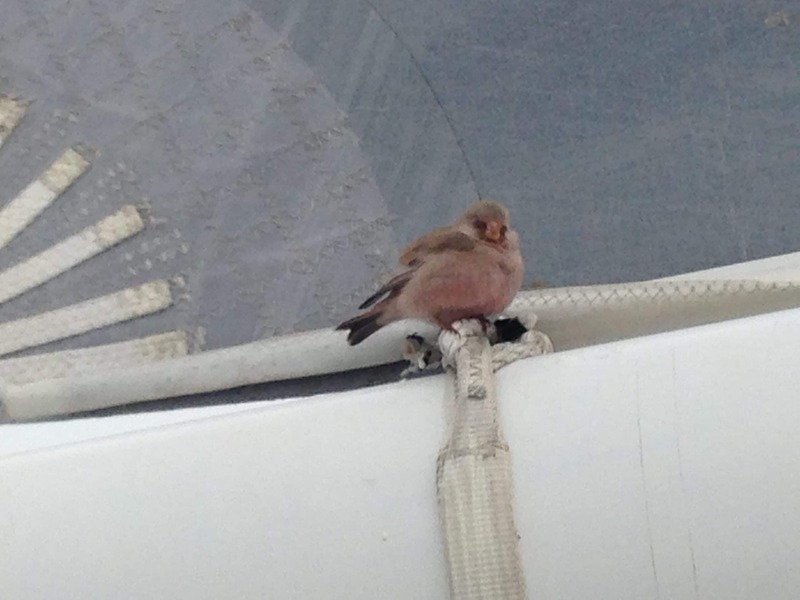 This entry was posted in Day Five and tagged birds, Jivaro, rolex middle sea race. Bookmark the permalink. Cute crew! No wonder the J/133 JIVARO was “flying” so fast down the track! Keep up the fast pace! Good luck! – Stu J.